Too much has already been said and written about logo designs. But when it comes to Information Technology logo designs, things are a bit different as there are only a few write-ups that aptly illustrate facts, tips and techniques for creating such logo designs. So, what all factors need to be considered for IT logo designs? 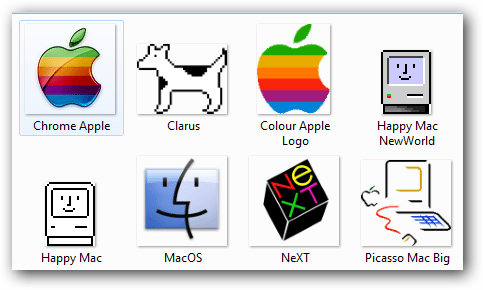 Here you’ll find 4 tips for ingenuous information technology logo designs. Let the logo design be as simple as it can be! This is one piece of advice that holds true for all IT themed logos. Irrespective of whether you own a software consultancy or a computer hardware company, you must refrain from making your logos as coded programs or integrated algorithms that you formulate. You are here to grab the attention of your potential customers and connect with your audiences so that you are able to establish yourself as a brand in the IT industry. So why target at a design that is difficult for your viewers to decode. In fact, if you look at some popular IT logos you will realize that modest design has always been the underlying strength of the industry. Take inspiration from your competitors to arrive at a really novel design idea. That means you should never understate the relevance of an original design idea while considering an IT logo design. It is advisable to check out the logos of popular IT companies to draw basic idea inspirations. You can even experiment with the currently available design trends to check what types of IT logo designs haven’t yet been explored. Consider shape, color, symbol and flow of your design in a different perspective to avoid brand confusion, if you find them to be hampering your design. What similarity do you find between the Google logo and the Apple logo? Of course, they both are truly remarkable! In this digital world, where everything right from banner ads to websites, seem to screaming about the quality of products and services, how would you like to carve a niche for your IT company? The answer is simple, by allowing your logo design to be remarkable enough to let your presence be felt amidst the top-notch IT companies. Selecting a design that’s bold enough to be remarkable and easily decipherable by your end users might prove to be a good brand building strategy. Since a logo effectively showcases a company’s public image, it must have the capability of being easily transferable to any physical design medium. 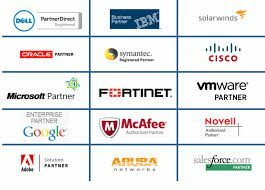 Being an IT company, your logo might have to be printed on small hardware products such as memory chips or on a standard size of paper such as business letterhead. So, ensure that your design clearly bears your brand’s impression that too with a distinctive tint. This will allow for easy design expansion on varied platforms such as brochure design, web ads, hardware parts packaging, social media platforms, or magazine covers. A good logo is capable enough of grabbing attention only at a glance and looks equally effective in monochromatic form as well as with colors. However, if your logo looks good only on fine printing, then you seriously need to reconsider its design elements. Have a look at these two famous logos of popular IT companies to understand their log design essentials. Next Next post: CSS, JS or SMIL: What Should You Use For Animations?